Commercial & Industrial Fencing Installations. No Boundaries Fencing specialises in two types of fencing for commercial and industrial applications - diplomat and chain wire. Our most popular choice is ‘diplomat’ fencing, which has tubular bars with a crimped spear top and is available in a range of colours. It offers a high level of security whilst being a professional and stylish addition to your property. 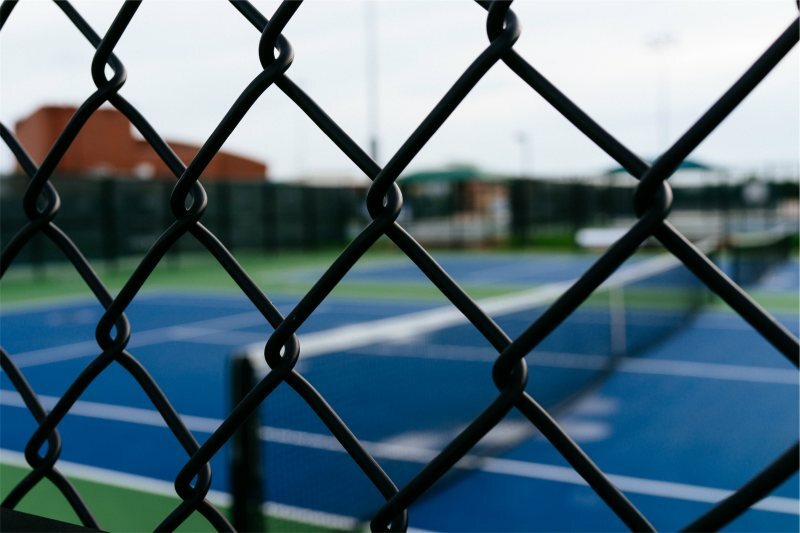 This type of fencing is used in a wide range of industrial and commercial applications such as warehouses, schools, public buildings, swimming pools and community centres. Chain wire is highly customisable, good looking and long lasting. It is available as plain galvanised wire, or black PVC coated wire with powder coated posts and fittings. Chain wire comes in a wide range of heights and, for increased security, barbed wire can be added to the top. Gates can be custom-made to your requirements and can be swinging, sliding or automated.